Lenovo has created a computer that is designed after the USS Enterprise. 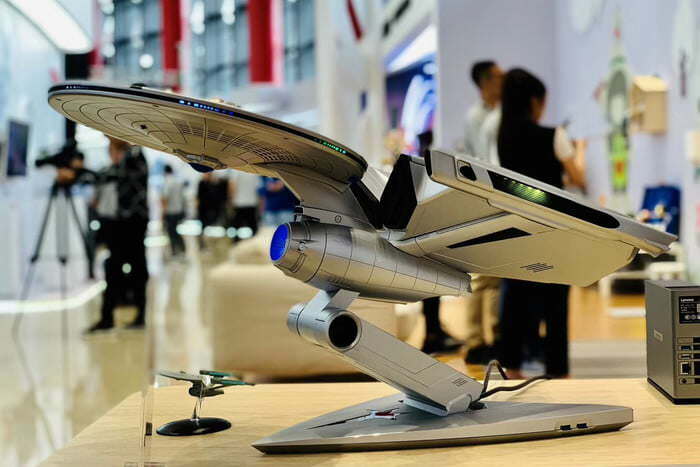 You can read about it here: Lenovo sets computer to stun, shows off Star Trek Enterprise PC. there could be conflict headed for the living room. Case mod computer are interesting. I consider this a case mode even if Lenoveo made it. I prefer dull and out of my way. I think this is cool in concept but rather impractical as a computer.